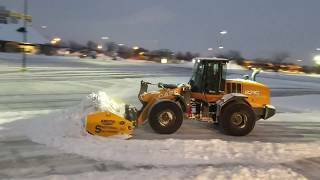 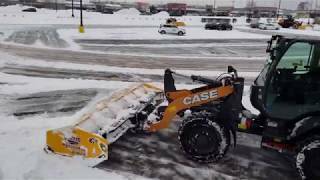 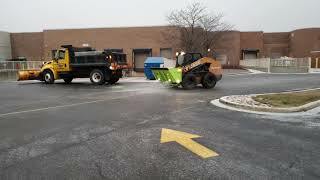 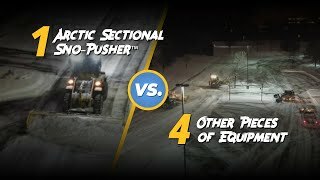 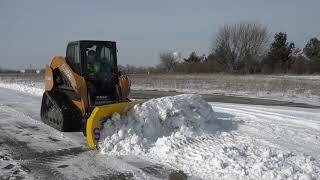 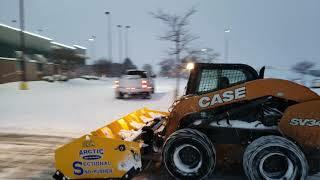 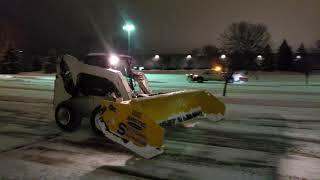 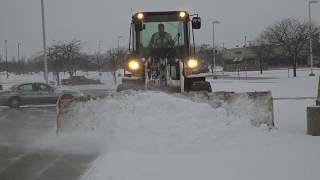 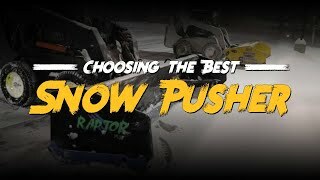 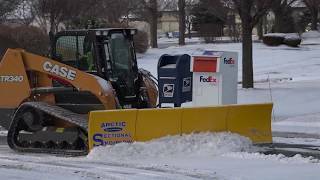 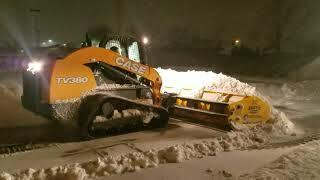 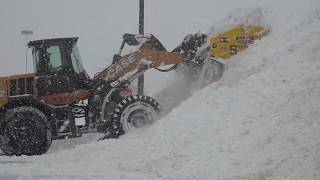 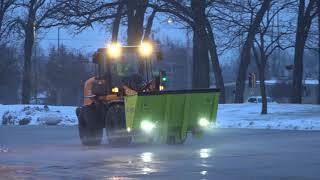 Check out this plow scrape up some hardpacked snow! 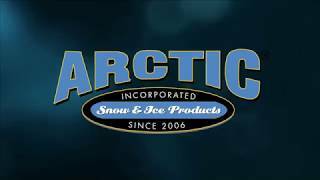 This scene is taken at Arctic's service company location, on the landing strip. 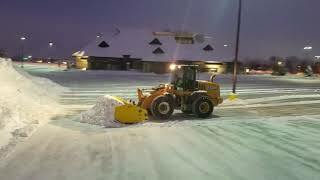 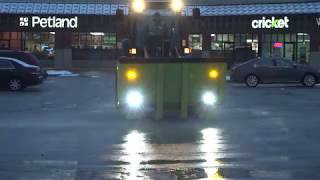 The surface being cleared is older asphalt that makes for hard scraping because the snow and ice likes to adhere to it so well. 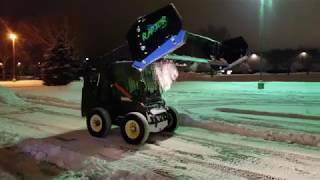 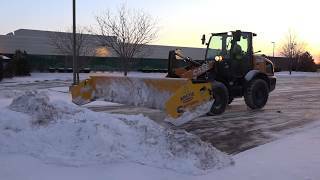 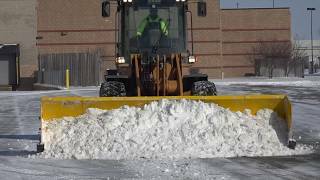 Arctic's exclusive Adjustable-Down-Pressure feature allows this operator to apply more pressure when needed to scrape up this snow that has been sitting for over a month in January/February. 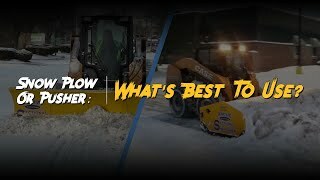 Watch too how much usable plow width there is with Arctic's aggressive angling with no spill-over.